Republican Texas Gov. 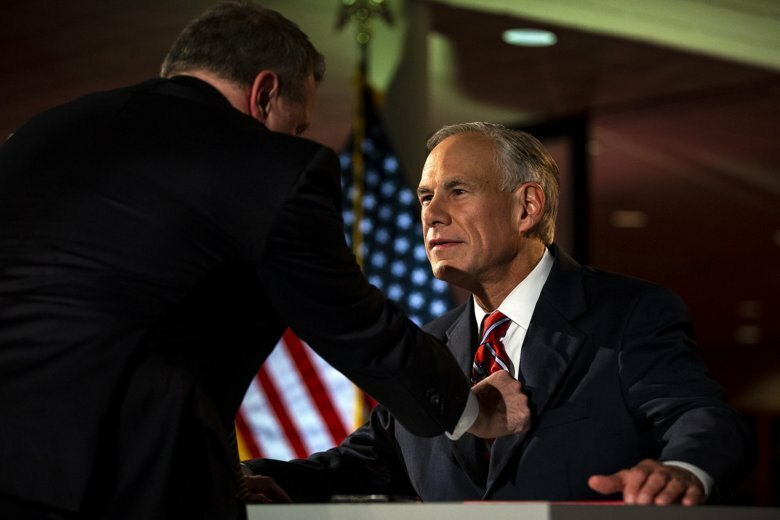 Greg Abbott says a “bathroom bill” that targets transgender people isn’t on his agenda if re-elected. But he stopped short of saying he would veto one if the Legislature sends it to his desk. Abbott on Friday night was asked in a debate with Democratic challenger Lupe Valdez whether he would support another attempt at passing a North Carolina-style bill that would impose bathroom restrictions on transgender people in schools and public spaces. Abbott went against other GOP governors in 2017 in pushing for such a bill, which was hotly opposed by Fortune 500 companies, police and sports leagues. The measure failed twice. Abbott is a heavy favorite to win a second term. Valdez would become Texas’ first Hispanic, openly gay governor if elected. A close U.S. Senate race in Texas has overshadowed Republican Gov. Greg Abbott’s bid for a second term. Abbott on Friday night will face Democratic challenger Lupe Valdez in their only debate. Valdez is the former sheriff of Dallas County and would become Texas’ first Hispanic and openly gay governor if elected. Abbott has been in a dominant position from the start. His campaign has a substantial financial edge and Valdez has struggled to energize Democrats. Republicans haven’t lost a statewide election in Texas in more than 20 years. GOP Sen. Ted Cruz, however, has acknowledged he’s in a “real race” against Democratic Rep. Beto O’Rourke. Campaigning is also intense in congressional districts in Houston, Dallas and San Antonio where Republican incumbents are at risk.